The health of the wife of the UP journalist Jagendra Singh allegedly burnt by police, has deteriorated. Family members of Shahjahanpur based scribe have said they will continue the hunger strike till they get justice. UP minister Rammurti Singh Verma is accused of orchestrating the murder. Meanwhile, the Uttar Pradesh government yesterday said it would not sack any of its ministers without probe. UP Cabinet Minister Shivpal Yadav told reporters in Lucknow, that no minister will be removed without probe. Meanwhile, in another blunderous statement Horticulture Minister Paras Nath Yadav described the incident as law of nature. The minister said there are some incidents which are pre-decided. 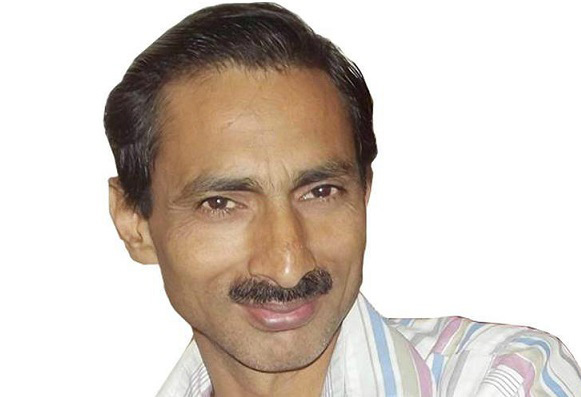 The Journalist’s family had registered an FIR against minister Verma and five others including policemen after he died during treatment at a hospital on June 8. The FIR was lodged under various sections of IPC including section 302 for murder. The video footage of dying declaration of Jagendra Singh went viral on news channels and social media. The journalist had invited Verma’s ire by posting reports on Facebook about illegal mining activities and land grabbing against the minister. The Uttar Pradesh Government has suspended five policemen for their alleged role in the killing. However, no arrests have been made so far. Meanwhile, UP chief minister Akhilesh Yadav sought to defend his government which is facing an all round attack on the issue. He said his government will not tolerate any injustice and Samajwadi Party has always stood up for justice.